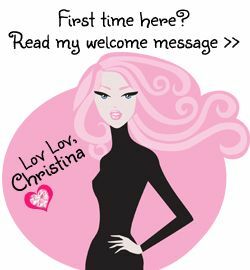 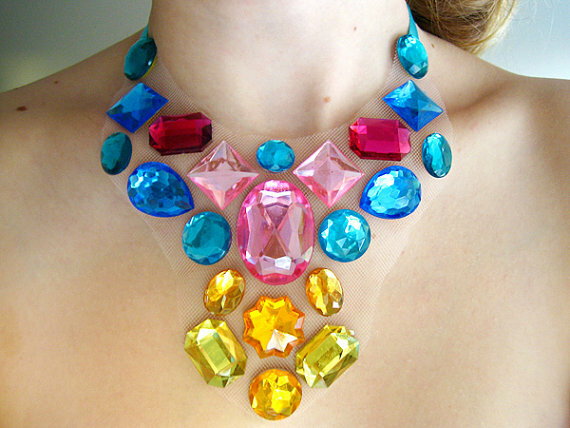 Are you sitting down ?… because you will fall head over heels with these Floating Rinestones Necklaces designs by ~Natalie. 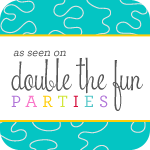 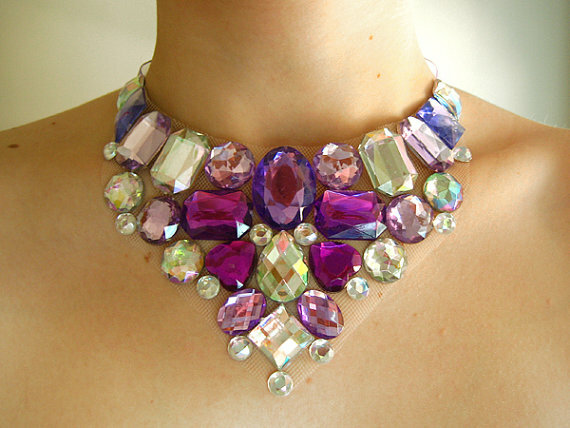 Her SparkleBeastDesign Etsy shop is full of sparkle and colorful designs …… Brides worldwide love to customize her floating necklaces for their special day and for their bridal parties! 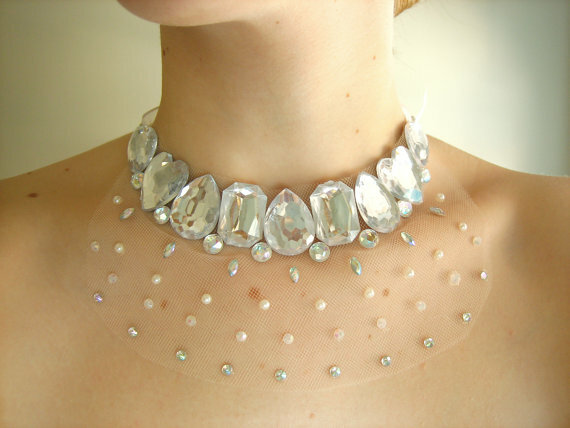 These unique, custom, and one of a kind handmade ‘floating rhinestone & gem’ statement bridal jewelry and bib necklaces featuring colorful and sparkly rhinestones, sheer netting, and coordinating ribbon ties. 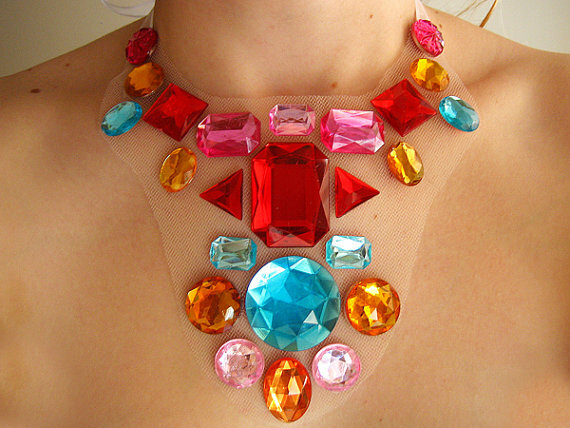 The majority of the necklaces featured in SparkleBeastDesign shop are of unique design that will never be recreated again. 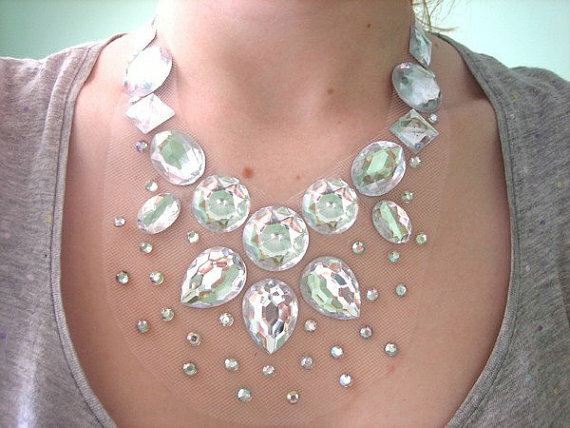 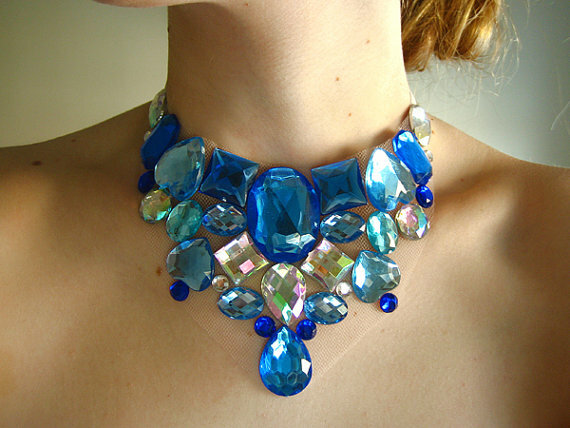 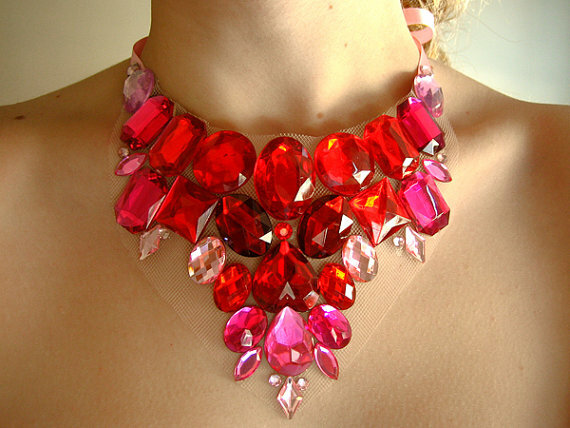 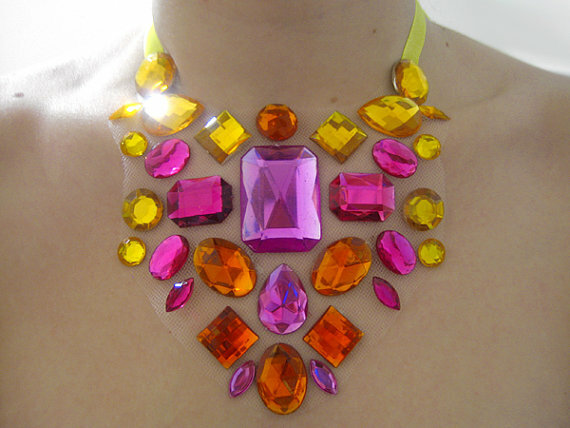 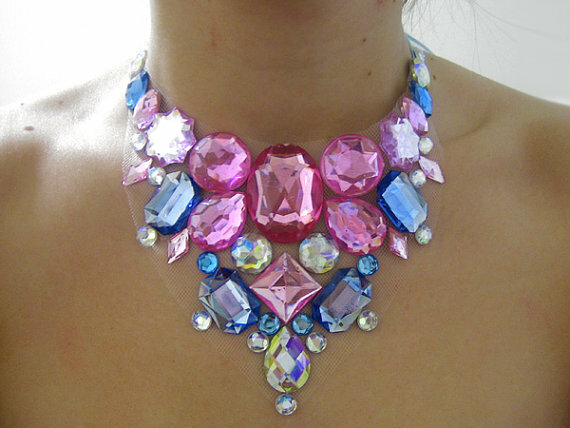 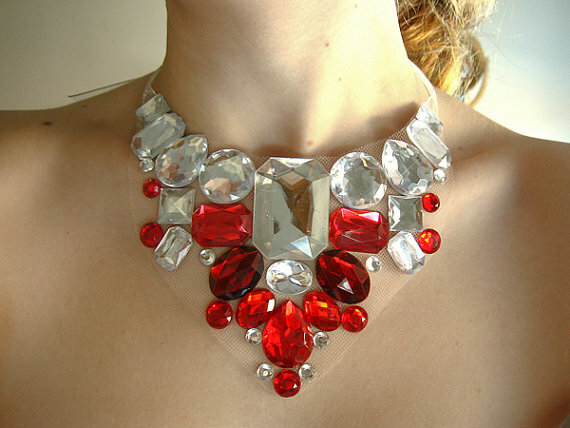 That means that they are true, dazzling sparkling unique statement necklaces that you’ll surely not find anywhere else! 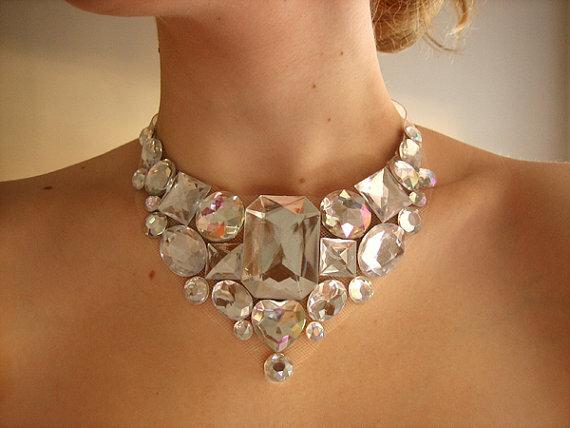 I love the combination of black and white…… this will go with everything, and it’s very elegant and classy.